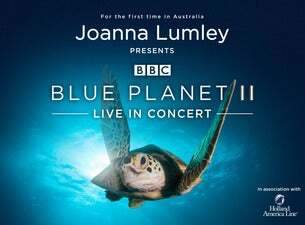 Take a breath and discover life beneath the surface with Blue Planet II Live in Concert this March. This once in a lifetime experience will be hosted by the incomparable Joanna Lumley and accompanied by the Melbourne Symphony Orchestra performing the original score by Hans Zimmer. This extraordinary concert event features breathtaking footage from the multi award-winning BBC television series starring Sir David Attenborough on a state-of-the-art 75 square metre 4K Ultra HD LED screen. The original immersive score from the series by Hans Zimmer, Jacob Shea and David Fleming will be performed live to picture by one of Australia’s finest symphony orchestras.